Duck legs get a lot of love with red wine and dried plums. There is something that has annoyed me to no end for quite awhile. 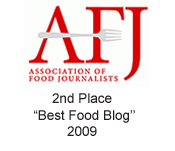 And I know I’m not the only one who frets about this rather unforgivable injustice. Wasn’t it just yesterday that I was “Miss”? I know it’s only semantics. Still, it’s a bruiser. No, I may not like it, but I have glumly accepted it. That’s what irks me about prunes. Oh sure, they get to be called “dried plums” now. What’s up with that? Like the rest of us “ma’ams,” I’m sure they felt labeled “old and decrepit” beyond their years with that moniker. But somehow, they’re fortunate to get a new name, one that’s peppier and more youthful. We should all be so lucky, right? 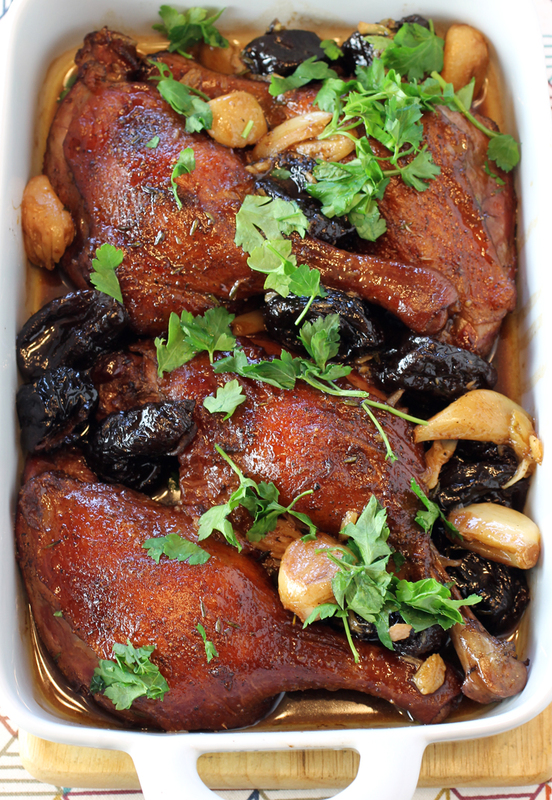 I couldn’t help but think of that amusingly when I spied a recipe for “Red Wine-Braised Duck Legs with Dried Plums.” It’s a classic French country recipe, though, back in the day it was known as duck with prunes. 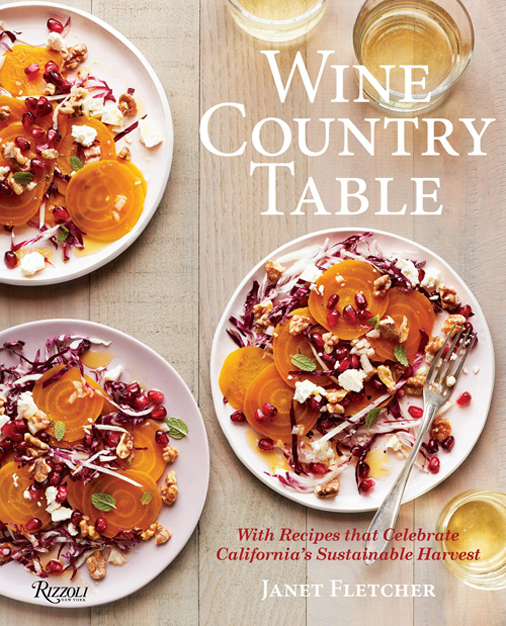 The recipe is from the new “Wine Country Table: With Recipes that Celebrate California’s Sustainable Harvest” (Rizzoli), of which I received a review copy. 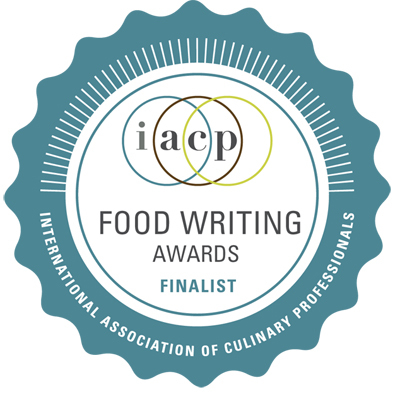 It’s written by veteran award-winning cookbook author Janet Fletcher, who makes her home in the Napa Valley, in collaboration with the Wine Institute. 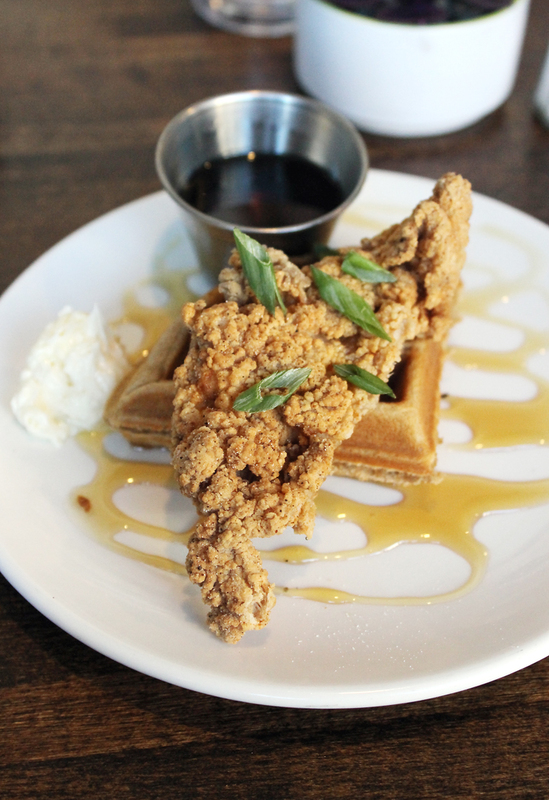 A tasting size of the fried chicken and waffles at Bruncheonette. SPOKANE, WA — On a recent trip in which I was invited by Visit Spokane to be a guest in its fair city, I had a chance to discover the many charms of this Northwest city. Did you know it’s the home of Bing Crosby and even sports a Bing Crosby House Museum? Or that there’s a giant-sized Radio Flyer downtown that you can climb on, then slide down? Or that it boasts a 1909 historic hand-carved wooden carousel, where you can climb aboard a horse, giraffe, tiger or Chinese dragon chair for a spin? 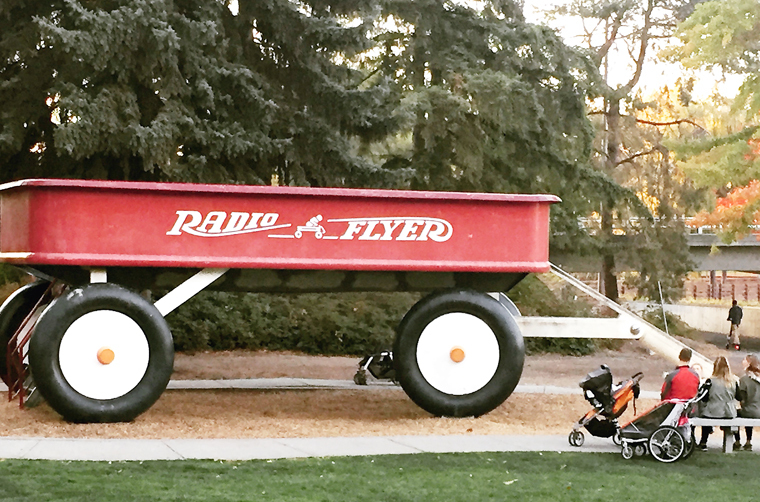 Not your average red wagon. 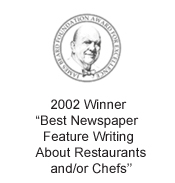 Of course, it’s also home to some incredible restaurants not to be missed. Take a taste. 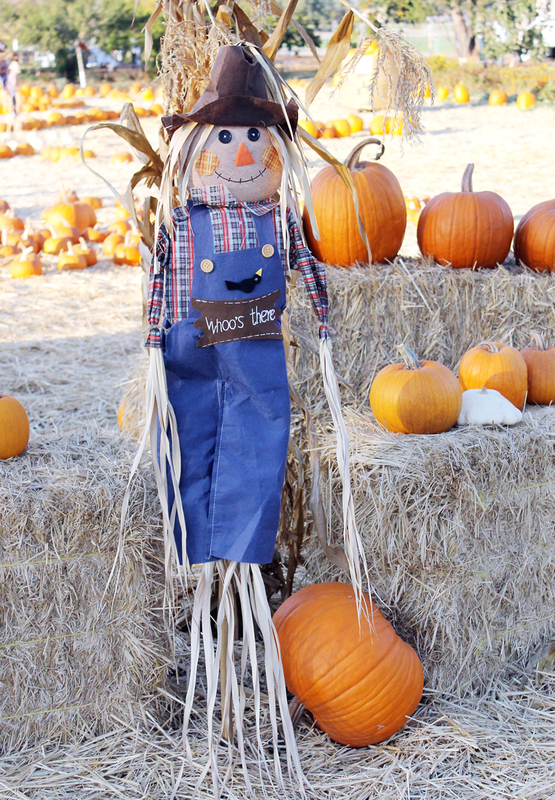 A friendly scarecrow stands watch at the Santa Clara Unified School District Farm. With new condos and tech buildings going up at a dizzying pace in Silicon Valley, it’s hard to believe that in the midst all this concrete and glass, one can actually still enjoy the bucolic experience of a dinner on a farm here. But you can — right here in Sunnyvale at 1055 Dunford Way. At an 11-acre organic oasis owned by the Santa Clara Unified School District. After taking over the property last year from Full Circle Farm, the district hired farmer Dave Tuttle to over see it. And how fruitful the SCUSD Farm has become. This season, 1,500 pounds of tomatoes were harvested and turned into sauce for use in lunches at the district’s 28 schools. In fact, every day, there is something featured from the farm on school menus, most notably in the salad bars. Persimmons ripening on the tree. 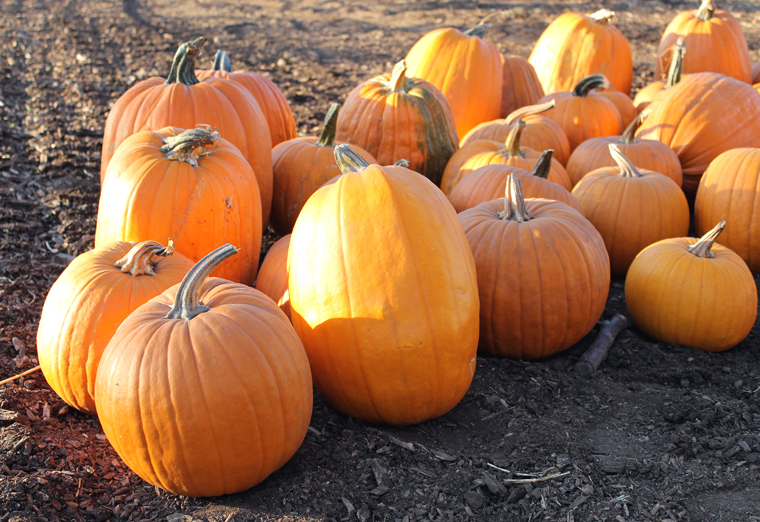 Twenty tons of pumpkins were grown, along with 3,000 pounds of watermelon. 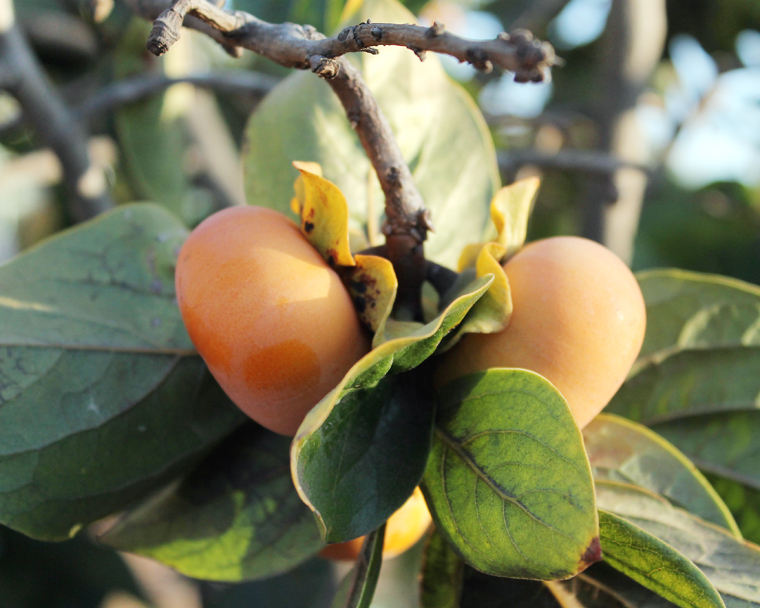 There are persimmon, avocado, pomegranate and lemon trees thriving. Rows of fava beans, Persian cucumbers, and kabocha squash were planted. There are nine laying hens, and beehives, too. 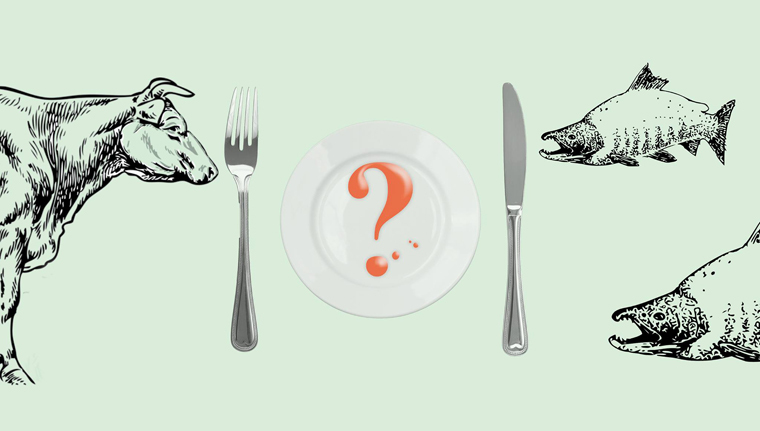 Join yours truly in conversation with Patrick Brown, founder of Impossible Foods, and Mike Selden, founder of Finless Foods, as we talk about “The New Surf and Turf,” innovative new protein products that mimic your favorite burger or seafood. The event takes place at the new Climate One at the Commonwealth Club on the Embarcadero in San Francisco, 6:30 p.m. July 19. Brown, a former Stanford University biochemist, is the man behind the Impossible Burger, the plant-based burger that actually “bleeds” and has the texture of ground beef. Selden, also a biochemist, founded the start-up that’s aimed at creating real fish meat from stem cells. With changes in climate, not to mention over-fishing of so many species, their inventions could have a profound effect on the way we eat in the future, as our world population continues to grow. At the end of this fascinating talk, you’ll also get a chance to taste samples of Impossible Foods products prepared by Jardiniere restaurant. General admission for non-Commonwealth member is $20. However, use the code, “Neighbor” at check-out to enjoy member ticket prices at $12 each. 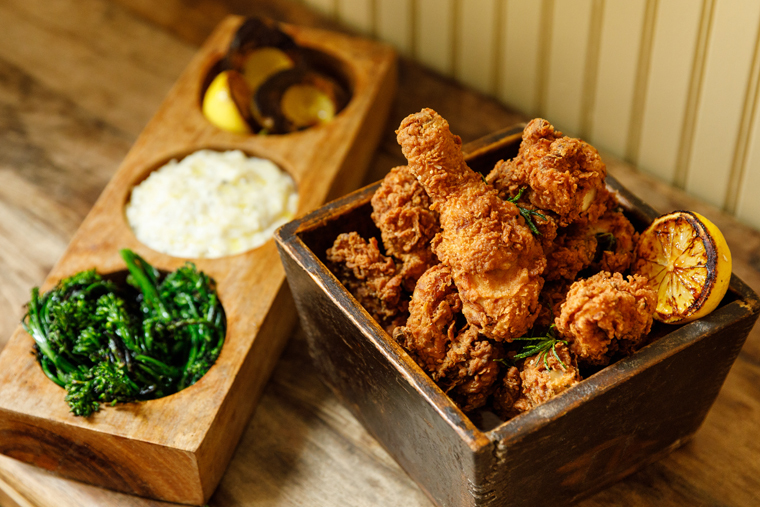 San Francisco’s beloved Town Hall restaurant has debuted a fun “Meat & Threes” prix-fixe Sunday supper menu. During 5 p.m to 9 p.m., diners have a choice of soup or salad, one of eight meats, three of 11 sides, and a slice of Key Lime pie. Newport, OR. — Dungeness crab would surely be part of my last meal, if I was given a choice. Sweet, fluffy, and succulent, it beats lobster any day in my book. Though I’ve enjoyed it countless times, I’ve never fished for it. 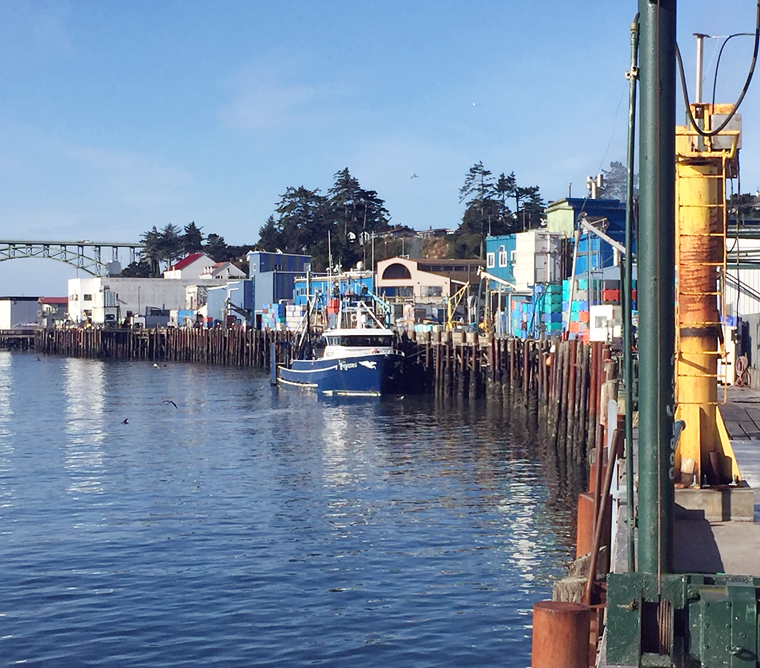 On a recent trip to the lovely central coast of Oregon, my fellow food writers and I, who were guests of Salishan Spa & Golf Resort, were treated to our own private excursion through Yaquina Bay aboard the family-owned Marine Discovery Tours boat. 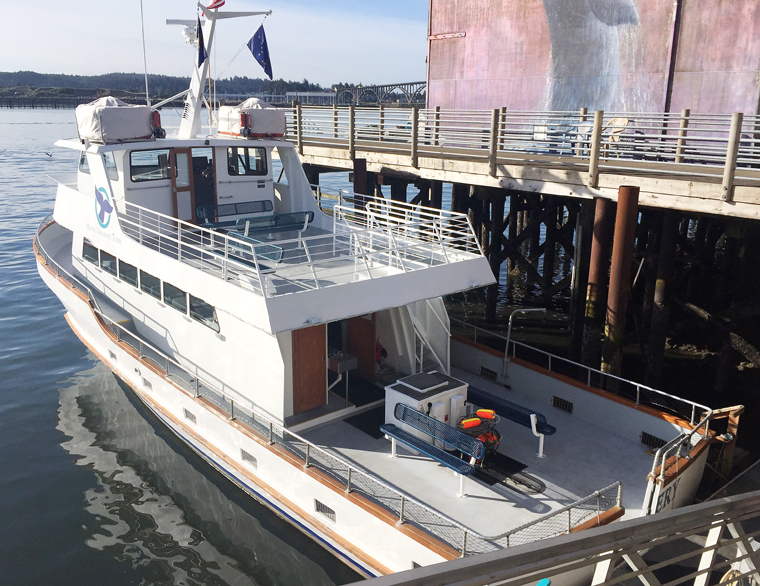 On a picturesque 70-degree morning, we boarded and set sail. Just be forewarned that the waters can get choppy the farther out you go. But none in our party — even a few who were extremely prone to motion sickness — were done in by the effects. The dock area in Newport. You may be richly rewarded for braving the waters, too. We saw whales. Well, at least their blow holes, if not their tails breaking the waves. Still, it made for an unforgettable moment.